The body is a unit. Simply stated, you can not have a problem in one area of the body without it affecting other musculoskeletal regions or other bodily systems. 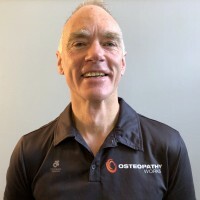 Andrew works from the Dunedin (Suite 13 Marinoto Clinic), Mosgiel, Green Island, and Balclutha branches of Osteopathy Works. Andrew was born in Dunedin, and educated at Otago Boys High School. He continued his education at the University of Otago where he completed a Bachelor of Physical Education (BPhEd), and a Bachelor of Science (BSc). Having completed these qualifications Andrew then worked in London as a personal trainer. After completing his overseas experience he began studying a Bachelor of Information Technology, and worked for two years in the I.T. industry. Realising that this simply wasn’t his passion, he completed a Postgraduate Diploma in Sports Medicine (PGDipSportMed), specialising in exercise prescription, sports nutrition, and ergonomics. From here he entered the five year Osteopathy course at Unitec in Auckland (BAppSc(HB), MOst). His masters thesis was on the topic of Forward Head Posture. Andrew is also a qualified acupuncturist (PGCert (Western Acupuncture)). Outside of work Andrew possesses broad skills. He has been a representative tennis player as well as professional coach. He has a black-belt in ITF Tae kwon-do, paints and sells watercolour paintings, and enjoys running and triathlons. With six tertiary qualifications, Andrew is one of the most highly qualified osteopaths in the country. These qualifications give him additional specialised expertise in exercise prescription, sports nutrition, and sports related injuries. Matthew works from Suite 13 Marinoto Clinic, Air Fitness Health Club, and Green Island branches of Osteopathy Works. 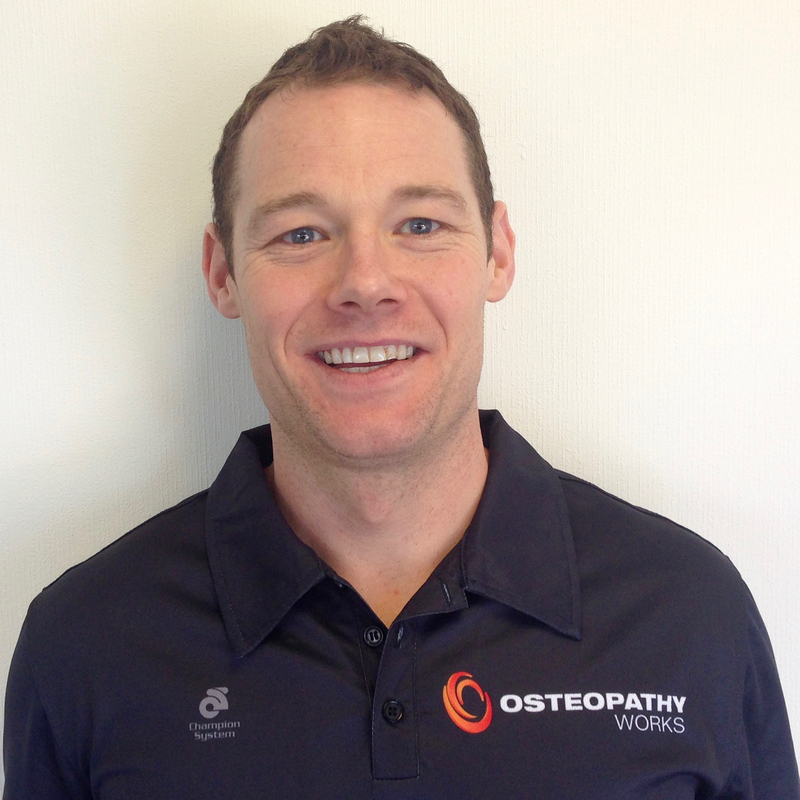 Matthew trained as an Osteopath at both the British School of Osteopathy and at Unitec New Zealand. Matthew has a keen interest in human movement and health. He is a certified teacher of Pilates through the Australian Pilates Method Association and has taught for the first pilates studio in New Zealand - the Pilates Body Studio, in Auckland. He also taught for several years at, the Pilates Akademie, in Vienna. He is a certified teacher of the Axis Syllabus which integrates current understandings of human biomechanics into a movement practice. He has worked internationally as a dancer, teacher and choreographer and has danced for many of the most respected New Zealand dance companies. Dunedin is his home town and he is very happy to return. Rebecca works from the Dunedin (Suite 13 Marinoto Clinic), Mosgiel, and Balclutha branches of Osteopathy Works. Originally from Dunedin, Rebecca graduated from Victoria University in Melbourne with a Bachelor of Clinical Science and a Masters of Osteopathy. She is passionate about Osteopathy and its diverse range of techniques that Osteopathy has to offer. Rebecca enjoys treating a wide variety of patients from pregnancy related pains to the elderly and is particularly interested in helping with chronic conditions such as back pain, neck pain and headaches. She holds the philosophy that no two patients are alike, and therefore believes that treatment should reflect the needs and goals of each patient as an individual. Outside of work, Rebecca can be found playing hockey, tramping, practicing yoga and generally enjoying the outdoors. Tim works from Suite 9 Marinoto Clinic, Air Fitness Health Club, and Green Island branches of Osteopathy Works. Tim Casey, Acupuncture Specialist, began his journey with acupuncture in the 1980s when he was injured in a fall that left him unable to walk. It was acupuncture that took away the pain and allowed the tissue to heal and got him back on his feet. Tim has lived and worked in Dunedin in the field of Acupuncture for more than 14 years. Tim originally trained in Traditional Chinese Medicine (TCM) at the Australian Collage of Natural Medicine (ACNM) in Brisbane, Australia. Tim's also studied Toyohari (East Asian needle therapy) in Tokyo, Japan, where he was to expand his acupuncture knowledge as taught by the blind (Japan has a 700 year old history of encouraging the training of non-sighted practitioners of Acupuncture due to their heightened sense of touch). Tim continues to pursue acupuncture studies and practical training; most recently travelling back to Brisbane and Sydney to learn the teachings of Dr. Yoshi Manaka's proteges, Kiiko Matsumoso. It is Tim's opinion there is no health related issue that cannot be treated by acupuncture; "if the condition cannot be treated directly, then it is always possible to treat symptoms surrounding the condition." Tim is a registered ACC provider and a member of the New Zealand Register of Acupuncturists (Acupuncture NZ). Jerome works from Suite 13 Marinoto Clinic, Air Fitness Health Club, Mosgiel, and Balclutha branches of Osteopathy Works. 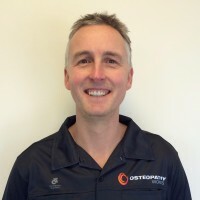 Jerome is an Australian trained Osteopath who joined us having completed both a Bachelor of Science in anatomy and physiology, and a bachelor/masters double degree in Osteopathy. Jerome takes the time to care and learn the ins and outs of his patients; this enables him to provide treatments unique to each individual’s condition. He treats structurally using soft tissue techniques as well as movement based treatments for patients who are struggling with their mobility. Jerome also holistically uses diet, exercises and lifestyle changes to enable his patients to lead pain free and healthy lives. Jerome is comfortable treating a vast range of patients of all ages, shapes and sizes; from younger children through to elite sports people. This is reflected in his professional experience that ranges from spending ten years as a youth swimming teacher while studying all the way through his involvement in the AFL Northern Football League Div1 2016 double premiership team Heidelberg. On his weekends Jerome enjoys exploring all the South Island has to offer with his wife Dani. He follows a wide range of sports especially AFL and rugby union and spends his spare time tramping, reading, skiing and cycling. Mike works from the Gore branch of Osteopathy Works. Mike first completed a Bachelor of Physical Education (BPhEd) at the University of Otago, where he majored in Sport and Exercise Science. He then completed further study to become a secondary school teacher (PGDipTchg). He taught for 4 years in New Zealand, as well as 1 year teaching and travelling throughout Asia. Upon return to New Zealand Mike completed a Master of Osteopathy (BAppSc(HB), MOst). His Master’s thesis topic was an evaluation of a Run & Walk health promotion initiative targeting inactive adult males. Many participants in this initiative went on to compete in the Auckland marathon event. Mike is extremely passionate about health and fitness, and views his health practitioner role as multidimensional. As an educator, Mike is aware of the importance of role modelling healthy behaviours, and empowers people to take control of their own health and wellbeing. Osteopathy is a great fit for him because of the hands-on approach to diagnosis, treatment and management, as well as an appreciation of the total body in the development and maintenance of pain, dysfunction and disease. Mike has been a competitive swimmer and keen runner from a young age and this has continued into adulthood. He has completed numerous half marathons, mountain running events, ocean swims, triathlons and completed his first ironman at Challenge Wanaka. He understands the inherent demands of sport, and shares a special interest in the field of sports medicine and sport-related injury. His Osteopathic training means he has the ability to effectively treat and manage a wide range of musculoskeletal conditions. Jude works from the Invercargill branch of Osteopathy Works. Jude Harley is a new member to our team, returning back home to the South Island after spending some time in Auckland and abroad. During his travels, he ventured extensively through Europe, America and Asia. 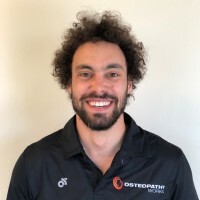 Like most of the team here at Osteopathy Works, Jude has a sporting background, having played regional representative football for Bay of Plenty, and winning 1st place in the New Zealand domestic Kung Fu championships as a teenager. He remains active nowadays through squash, hiking and snowboarding and believes in maintaining movement and fitness through activities you enjoy! As with all the staff at Osteopathy Works, Jude studied for 5 years to gain NZ registration, and completed his thesis on soft tissue neck dysfunction. As such, he has a special interest in neck and shoulder pain. Jude promotes open patient-practitioner communication, and encourages patients to ask questions to better understand the issues at hand. As tissue damage and pain are often a bi-product of dysfunctional movement, furthering a patients understanding helps to identify lifestyle factors which are contributing to the presenting complaint. In this way, rather than only treating the symptom of pain, Jude looks to target the cause of the problem. He uses a patient-specific manual approach to optimise body-wide function as well as providing guidance on the ongoing management of musculoskeletal conditions. Naaznin works from the Invercargill branch of Osteopathy Works . Naaznin graduated from the British College of Osteopathic Medicine in 2009 with a distinction in the Osteopathy Masters degree, and an additional diploma in Naturopathy. Deeply passionate about Osteopathy, she believes in a non-invasive and holistic approach to restoring the body's optimal function. Primarily a structural osteopath, Naaznin makes use of a variety of techniques catering to each patient as an individual. Most of her treatments include dietary and lifestyle advice and specific exercise programmes, enabling people to take control and facilitate their journey to recovery. Naaznin moved to New Zealand with her husband in 2010 and lived in the Bay of Plenty and Waikato before relocating to Southland. She enjoys hiking and is quite partial to yoga. A keen traveller, she has been fortunate enough to experience several different cultures first-hand, and is taking great pleasure in exploring the beautiful Aotearoa. Tracey works from the Mosgiel and Green Island branches of Osteopathy Works. Prior to joining Osteopathy Works, Tracey was a partner in a relaxation massage business in Dunedin. Tracey studied at Otago Polytechnic and Aoraki Polytechnic where she learned the art of relaxation massage, trigger point therapy, sports massage, deep tissue massage, and myofascial release. Tracey also trained in clinical reflexology in the U.K, plus she is a Reiki Master. Reiki is the Japanese art of energy healing. Whether your goal is to reduce stress, relieve pain, or enhance relaxation, massage may be beneficial to you. By using various techniques to target superficial and deeper layers of muscles, massage can promote health and wellbeing. Nicole works from the Dunedin (Suite 9 Marinoto Clinic), and Green Island branches of Osteopathy Works. Nicole has a Diploma in Advanced Therapeutic Massage, graduating with Distinction from the Otago Polytechnic. She received the Otago Polytechnic Excellence & Leadership and Ambassador awards for Massage Therapy in 2017. Prior to joining Osteopathy Works Nicole ran her own massage therapy clinic from a gym in Green Island. Nicole is a Massage New Zealand registered therapist. Whether you are recovering from an injury, or would like relief from tired and sore muscles, reduce stress, increase movement and flexibility, Nicole will personally assess and deliver a massage to meet your needs.